Transport your two best four-legged hunting buddies to and from the field or range in comfort and style with Owens Products Hunter Series Dual-Compartment Dog Box without Top Storage. 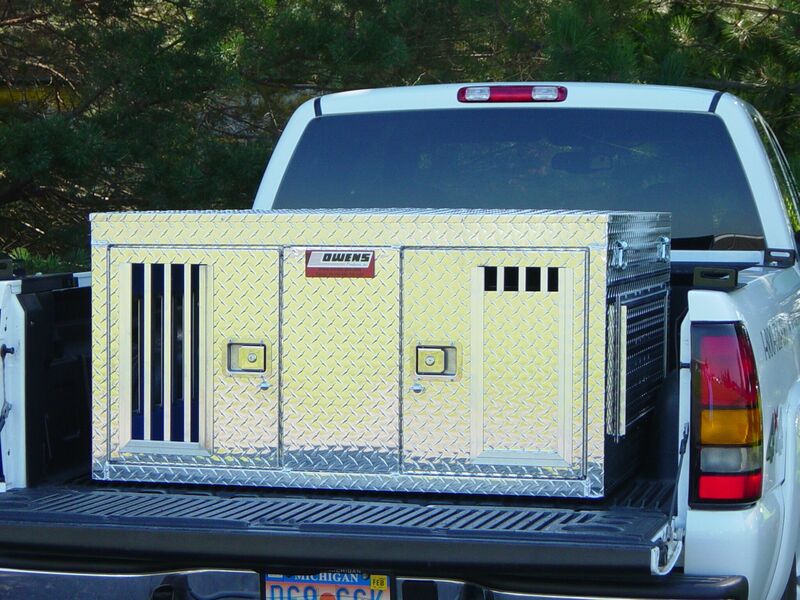 This extra-tall, dual-compartment dog box features two large, lined dog compartments that boast rugged diamond-tread aluminum constructions and feature durable, easy-to-clean rubber floors. Large side and rear vents can be opened or closed to provide your pups with the ideal level of comfort during travel based on the weather conditions. Locking latch doors also include storm covers. Made in USA. Dog compartment: 23”H x 19”W x 44”D.